Disasters are, by nature, inconvenient. In many cases you may be required to evacuate at a moment’s notice. For this reason, it's a good idea to prepare your Disaster Supplies Kit well in advance. Although relief workers and officials will jump into the post-disaster scene as soon as possible, it may take several days for them to reach everyone. Depending on your location in proximity to the disaster, help can arrive in hours or days. 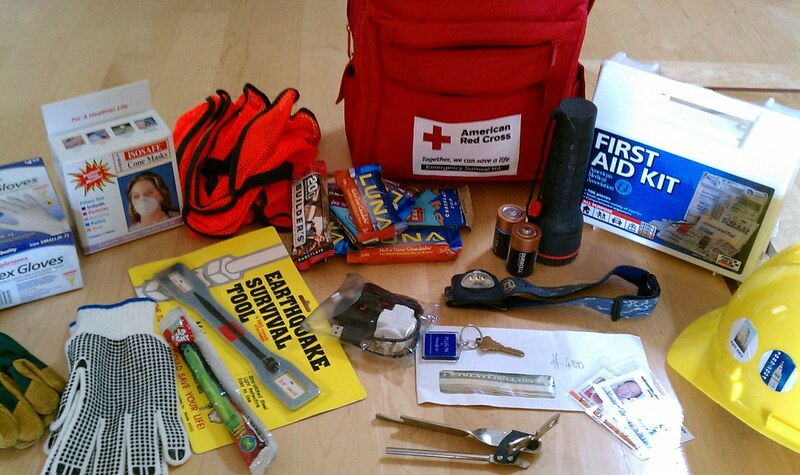 Your Disaster Supplies Kit should help you carry on through this initial period of time and contain items to help you sustain livable conditions through water, electricity, water and sewage outages. Important documents including copies of your drivers license and passport, bank account records numbers, insurance policies, proof of residence, and prescription information for any necessary medicine. Be sure to store these in a waterproof and portable container (for example, a plastic ziploc bag). Once you ensure that you and your family are prepared, then you can volunteer to help your community by training to be a member of the Community Emergency Response Team. Disasters can disrupt sewage and plumbing systems, transportation and mobility, and the ability to purchase goods. In many post-disaster scenarios, there is a strong possibility of drinking water contamination and food supply shortage. The first days following a disaster are the most important to be prepared for, as it will take some time before response agencies are activated and external aid starts to arrive. Therefore, it is wise to be prepared for at least the first 3 to 5 days. 1 gallon of water per person per day. Don't forget water for your pets! IF YOU DON'T HAVE ACCESS TO A STORE OF CLEAN WATER, HERE ARE TWO METHODS FOR PURIFYING POTENTIALLY CONTAMINATED WATER. Bring water to a vigorous boil for at least 1 minute. Mix thoroughly and let stand for 30 minutes. Nonperishable food and can opener, enough for each family member for 3 to 5 days. Remember to include pet food for any household pets. High protein rich food such as protein bars is recommended. Remember to check periodically for expiration dates. Replenish as necessarY.